I am about as no-fuss in the kitchen as possible. 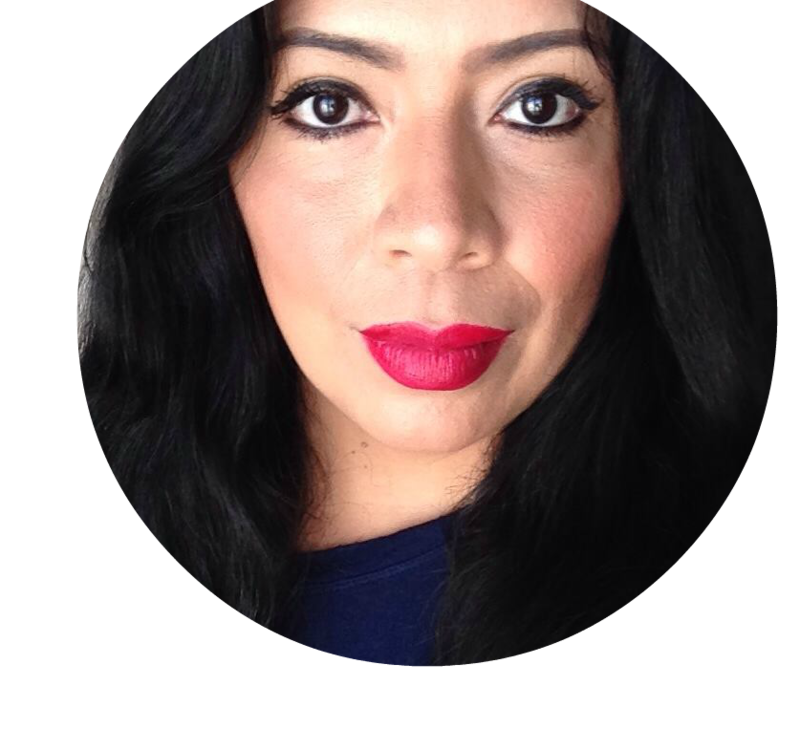 My daughters grew up with exactly the opposite type of mom than I did. My mom is one of those women that can literally spend the entire day in the kitchen feeding everyone. That is so not the case with me. I like to get in and out of the kitchen as quickly as possible, especially when it comes to our super busy mornings. During the week we have an hour and a half to get everyone up, dressed and fed before having to hit that front door. There is not time for big breakfasts that require stove work or a lot of ingredients. That is why I love Carnation Breakfast Essentials, which have been a part of our pantry for a long time now. 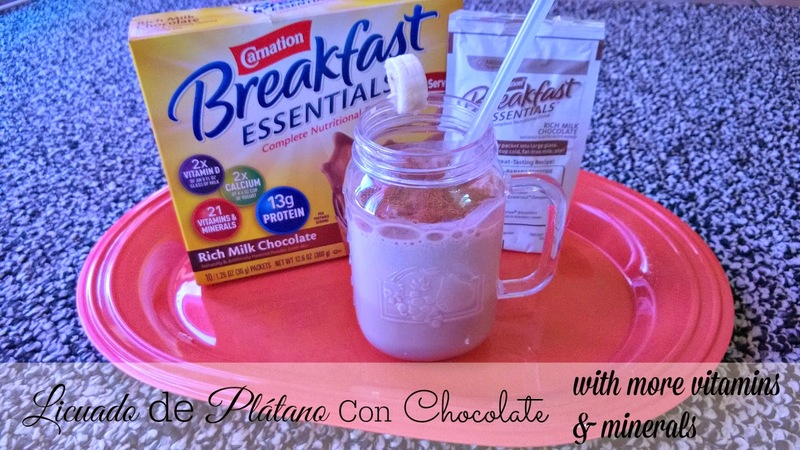 Last week I took a trip to Walmart to grab some more and I also grabbed the three other ingredients that I would need to make Licuado de Plátano for my kids this week. Licuado de Plátano is our favorite smoothie hands down. This is a smoothie that I remember from my childhood in Mexico. My abuelita had a Licuado (smoothie) stand outside of her home in the city, and every day woke up way before the sun did, to prepare her little stand for when all the city folk started heading off to work. She made natural fruit smoothies (carrot) and plenty of licuados de platano with an egg for those that where heading off to work a long day. My grandmother fed almost the entire neighborhood for years and years, with her delicious licuado. The licuado is one of the few memories that I have of living in Mexico and living near my grandmother, I think we were only there a year or two before we moved here and I never saw her again. This recipe is so easy to make and I am sure that it is not as delicious as my grandmother's, but it is very close. It's really the banana that gives it that really yummy flavor that I remember. I can make this so quickly and give everyone a filling and really delicious breakfast before they head out the door. 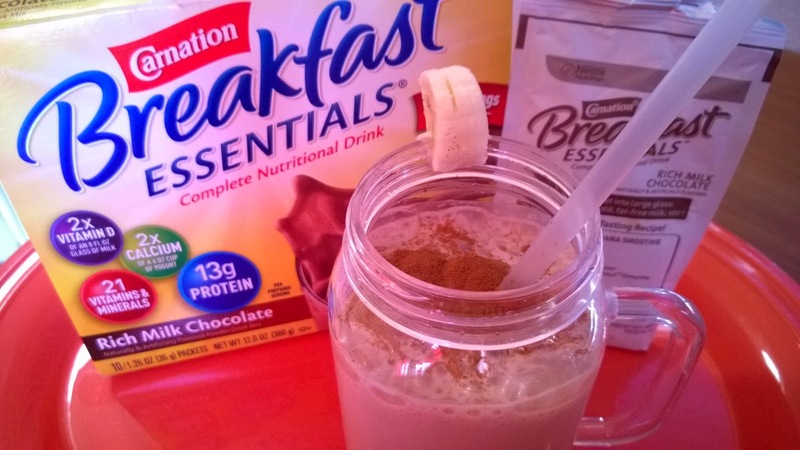 Switching out regular chocolate powder for Carnation Breakfast Essentials Powder provides them with 21 extra vitamins and minerals and 13g of Protein. I feel really good knowing their systems are ready to face the busy day ahead. 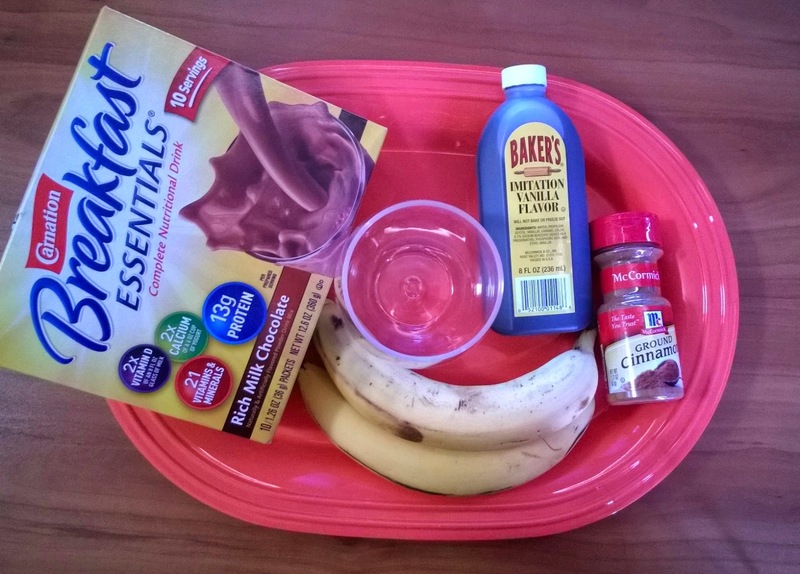 Throw powder, banana, milk, and vanilla into a blender and blend until mixed well. If you want your smoothie extra cold you can also throw in a few ice cubes. Then simply pour into cups and garnish with a few sprinkles of cinnamon powder. Nothing could be easier, and for us no other smoothie is more delicious. Packed with so many vitamins and minerals, Carnation Breakfast Essentials helps us get going without having to do without a healthy breakfast. 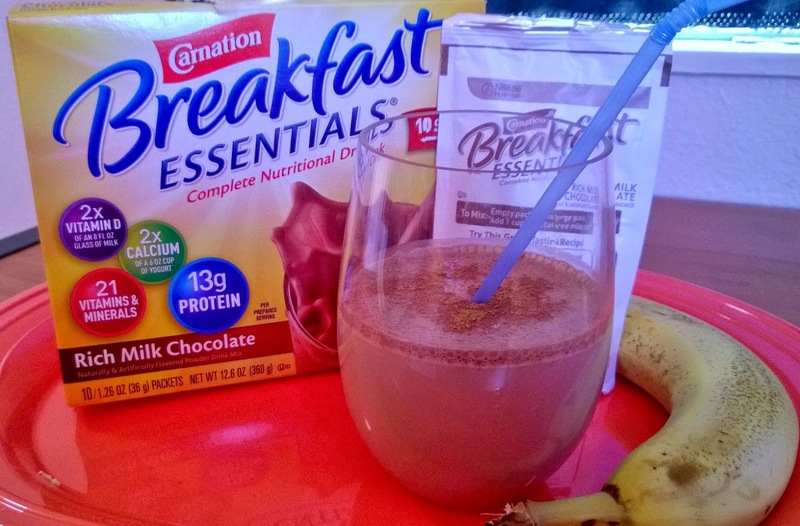 On mornings that there is no time for smoothies, the kids can even grab their own packet of Carnation Breakfast Essentials and just pour into milk for a delicious and quick drink. Right now you can grab a Carnation Breakfast Essentials coupon to help save you some money on your next purchase. Find many more recipes that are easy and super tasty and visit the Carnation Breakfast Essentials Facebook page for more promotions.